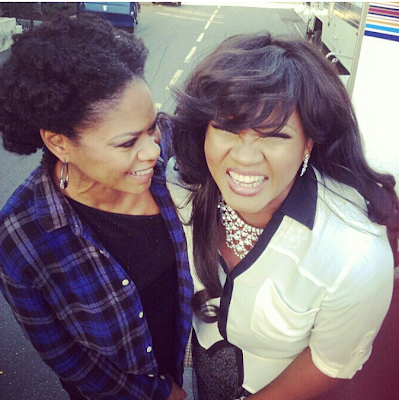 Baba has done it for our dear actress Omotola Jalade Ekeinde. The beautiful mother of four is set to star in an upcoming American TV Drama series tagged ‘Bounce‘. 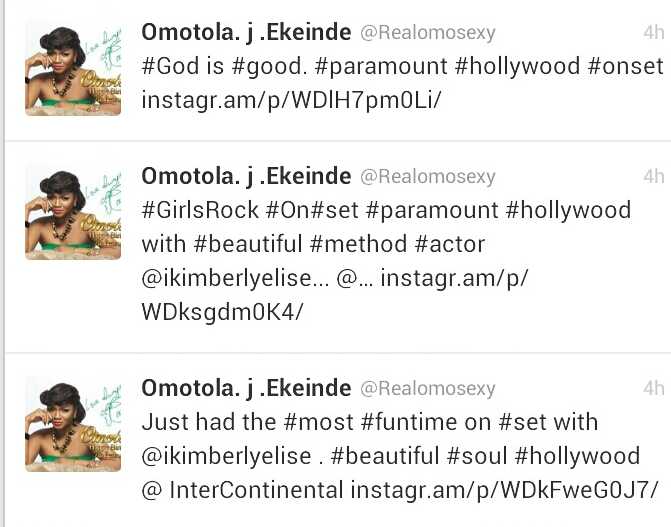 Omosexy made this exciting announcement via her Twitter page few hours ago. 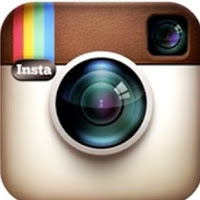 Bounce TV drama series was produced in Los Angeles California few weeks ago. Omotola Jalade and American movie stars like Dean Cain, Bernie Kopell, Eric Stoltz and convict music boss Akon all starred in the exciting drama series. 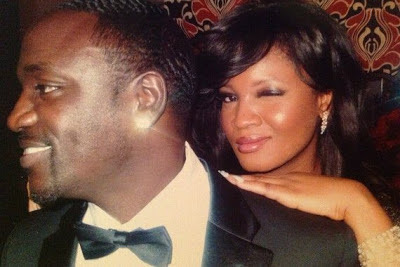 Omotola and Akon would make a great couple but sorry bro that woman is taken. 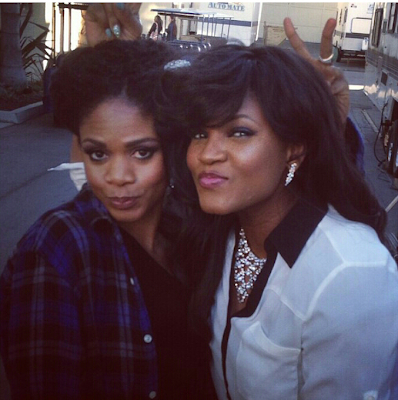 Nollywood actress Omotola Jalade is currently in Los Angeles California. God has indeed blessed this beautiful woman. A big congrats to her. let all praise b2 God 4 what he has done u and me. Omosexy, the lord has done it for you ooo. Keep Shining bright like Diamonds. Big one Up for a lovely Omotola..just wish u all the best..congrat! congrats Omosexy,u are a woman who have made a landmark for others to follow. Wao datz gud kep it up omosexy. Kudos shall!….but wait ooooo,na which time she come get for her hubby and kids? Becos she always on the move !…well no beefy shall. U went after Akon nd open ur hag hips b4 him. Dont you see her in the pics making unseen eye sign? meaning she has joined the devil worshippers. life is more better in Jesus, than joing illuminiati. Thank God 4 your life. Congratulation!!! if i coming to the world again i will tell God to give me beauty. this is a favour of beauty she is not percfet than others, congrat and be bless is not easy to reach that stage. devil gave her that stage not GOD…anybody going with Akon must be a devil worshiper..shame on her and Akon… hiss…9ja don enter finish even the elder’s in the country…we use to have religion in Nigeria but today is america society everywhere…Omotola very gud for u selling your soul will only distory at the end..were is MJ today???? Those who have eyes but can’t see…the pictures speaks volume! For fame and fortune she sold her soul to the DEVIL ! dat gud 2 hear dat, keep it up gal we pray 4 dat bcoz u in d best. We ur fans love u.
Foolz wil sayz she gives ha life to d devil(niger can’t @least someon do aspecial tinz nd u shld praise ’em……….nd abeg no b all way dey do sign b memba of illumi oo……..I give signs too biko!!!!! Omosexy, u are wonderful. having that ecstasy that this is not ur peak. Keep it up.